Height: 4". Width: 4-1/2". Thick: .020. Weight: 0.059oz. Stamped steel. 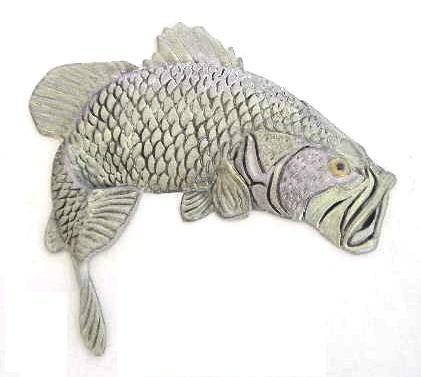 Large mouth bass, body: Metallic washes of gray silver pink green black. Unique hand-painted gift for any fisherman.